It's important to look at a patient from a holistic perspective. A patient is not simply the illness or injury being treated, but an entire person. In fact, every aspect of a patient can contribute to how that patient deals with treatment and recovery, and it should all be considered when caring for the patient. In Betty Neuman's nursing theory, patients are cared for from a holistic perspective in order to ensure they are cared for as people and not simply ailments. Born in Lowel, Ohio in 1924, Betty Neuman earned her diploma as a Registered Nurse in 1947 from the Peoples Hospital School of Nursing in Akron, Ohio. She went on to complete her Bachelor of Science in Nursing in 1957 and her Master of Science in Mental Health, both from the University of California-Los Angeles in 1966. She also earned a Ph.D. in clinical psychology from Pacific Western University in 1985. In 1992, Neuman was given an Honorary Doctorate of Letters at the Neumann College in Aston, Pennsylvania. Finally, in 1998, the Grand Valley State University in Michigan gave her an Honorary Doctorate of Science. After earning her Masters degree, Neuman began working as a nurse. Specifically, she was a pioneer in nursing involvement in community mental health. While she was developing her systems model, she was working as a lecturer at the University of California-Los Angeles in community health nursing. Due to her work in nursing, Neuman was named as an Honorary Member of the Fellowship of the American Academy of Nursing. Betty Neuman's first book, The Neuman Systems Model , was published in 1982. The book included nursing process format and care plans, and was a total approach to client care. Newer editions were published in 1989, 1995, 2002, and 2010. After the publication of her model, Neuman spent her time educating nurses and professors about it through her work as an author and speaker. 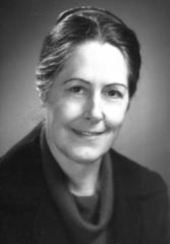 In 1970 she began developing her Systems Model as a way to teach introductory nursing to students by giving them a holistic view of patients that included the physiological, psychological, sociological, and developmental aspects. It was first developed as a graduate course guide, and in 1972, the May/June edition of Nursing Research published "A model for teaching total person approach to patient problems." In 1974, Neuman's model was refined and published in Conceptual Models for Nursing Practice. It was classified as a systems model, and was titled "The Betty Neuman Health-Care Systems Model: A Total Person Approach to Patient Problems." In this publication, the term "patient" was replaced with the term "client." The Neuman Systems Model is based on the patient's relationship to stress, reaction to it, and reconstitution factors that are dynamic. The Neuman Systems Model is universal in nature, which allows it to be adapted to a variety of situations, and to be interpreted in many different ways. The central philosophy of Neuman's nursing theory consists of energy resources that are surrounded by three things: several lines of resistence, which represent the internal factors helping the patient fight against a stressor; the normal line of defense, which represents the patient's equilibrium; and the flexible line of defense, which represents the dynamic nature that can rapidly change over a short time. In the Neuman Systems Model, the nurse's role is to keep the system's stability by using three levels of prevention. The first is primary prevention, which protects the normal line and strengthens the flexible line of defense. The secondary prevention is used to strengthen the internal lines of resistence, which reduces the reaction and increases resistence factors. Finally, tertiary prevention readapts, stabilizes, and protects the patient's return to wellness after treatment.